Beer Nerd Details: 9% ABV bottled (750 ml, caged and corked bottle). Drank from a tulip glass. 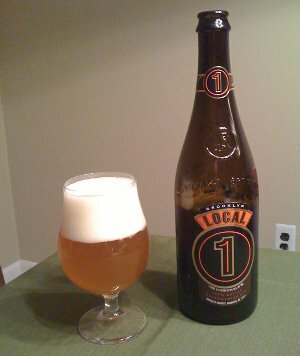 I guess this means I should try Local 2 (apparently a strong dark ale), eh? This page contains a single entry by Mark published on February 12, 2011 11:30 AM. Double Feature: Stouts was the previous entry in this blog. Adventures in Brewing - Part 3: The Tasting is the next entry in this blog.